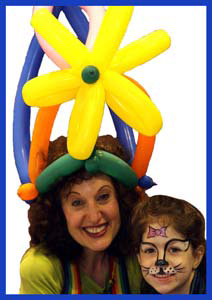 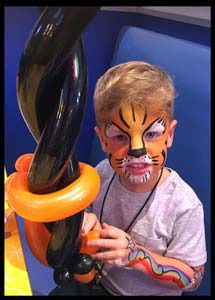 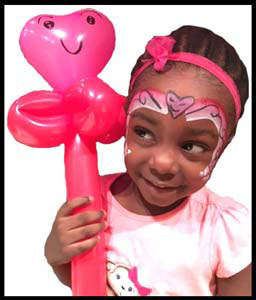 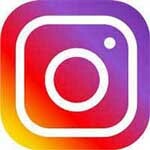 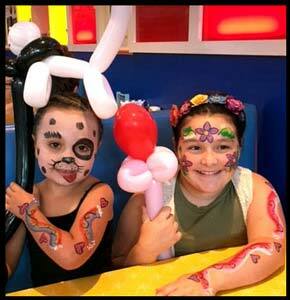 Note: Daisy Doodle does facepainting & balloon twisting at Big Daddy's Diner for Kids Night, on Mondays from 5-8pm, 91st Street & Broadway in Manhattan. 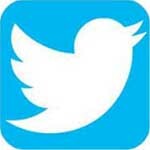 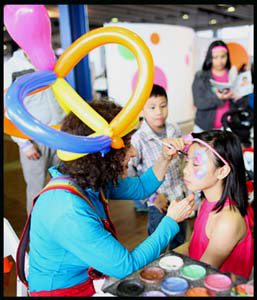 Come on by! 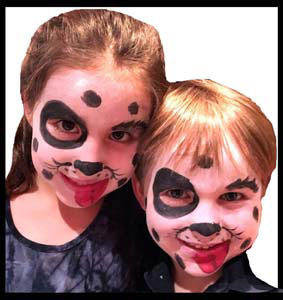 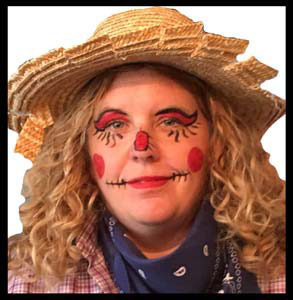 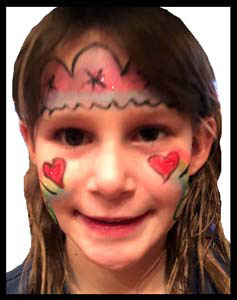 Face painter Daisy Doodle transforms kids faces! 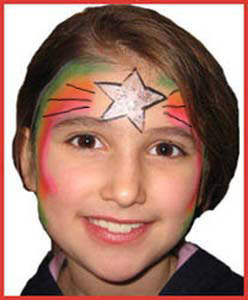 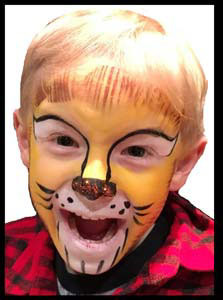 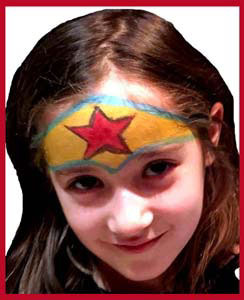 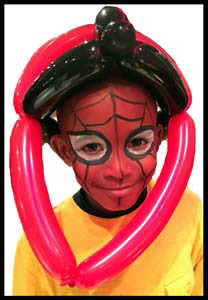 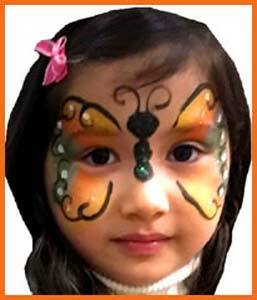 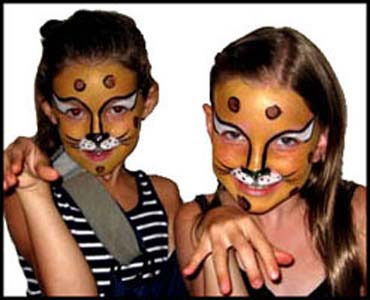 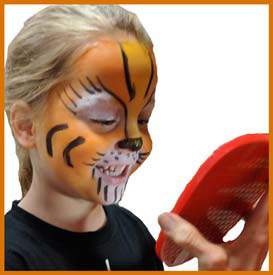 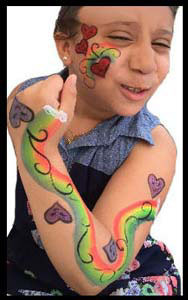 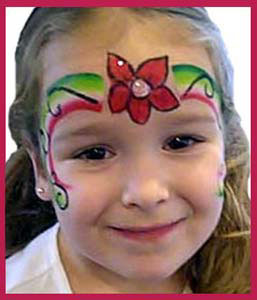 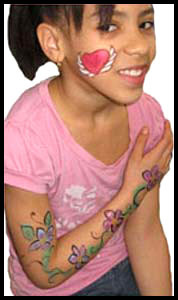 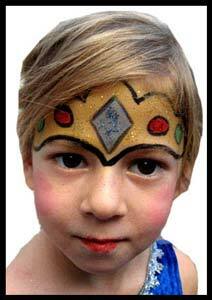 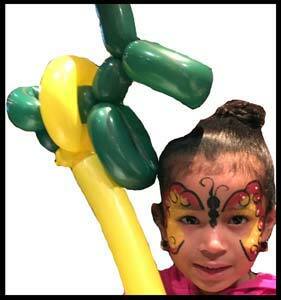 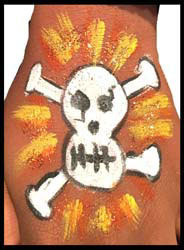 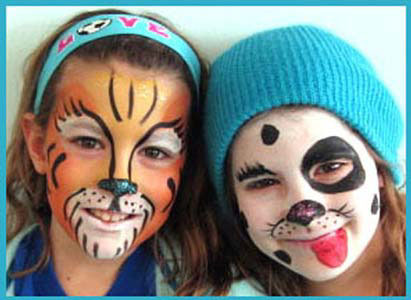 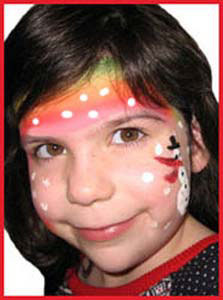 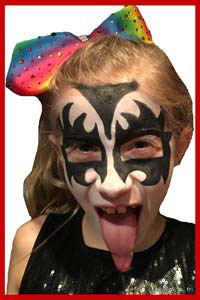 Add pizzazz to birthday parties with face painting! 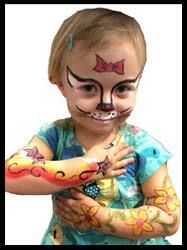 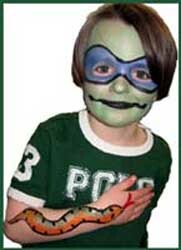 Kids body painting plus face painting is great fun! 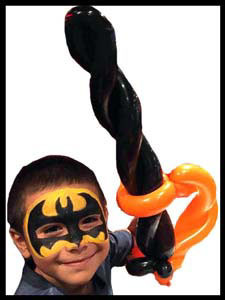 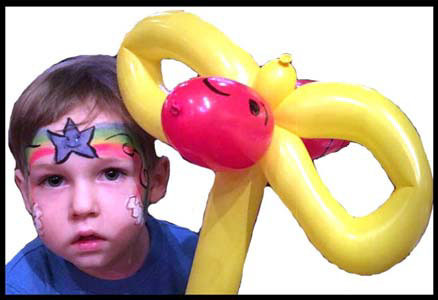 Face painting plus balloon twisting! 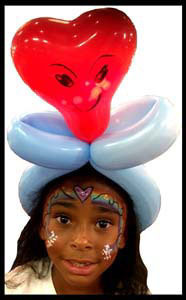 Kids get face painting to match their balloons! 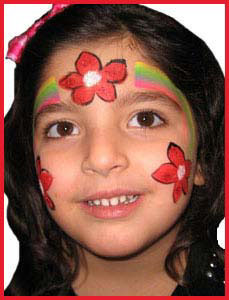 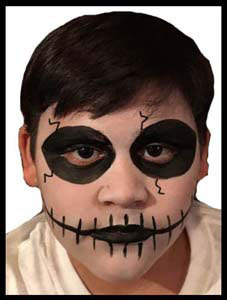 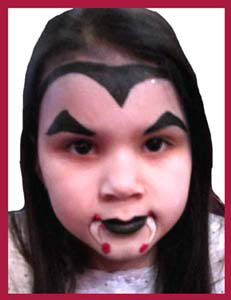 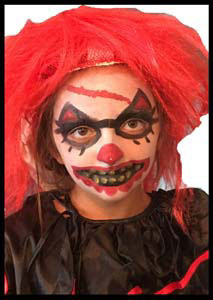 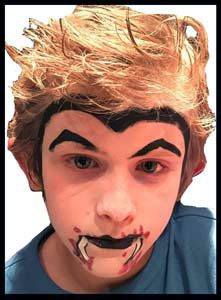 Older kids love scary facepainting, don't be afraid! 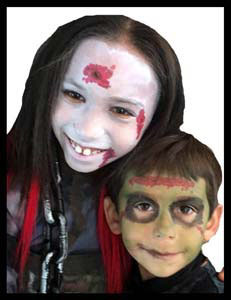 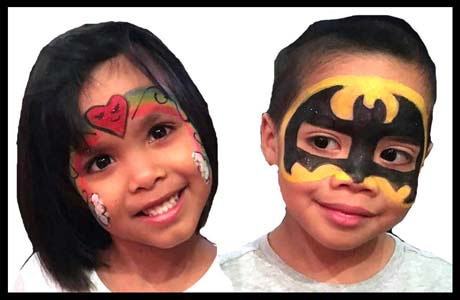 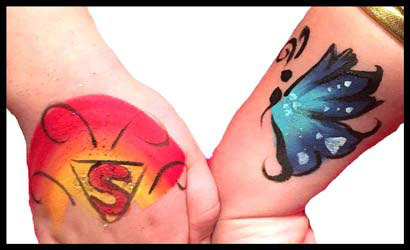 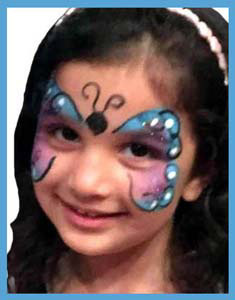 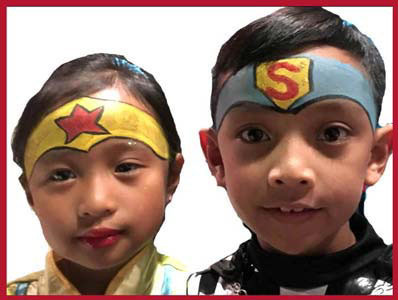 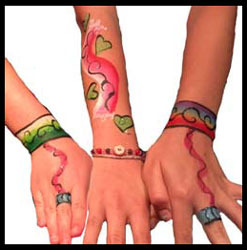 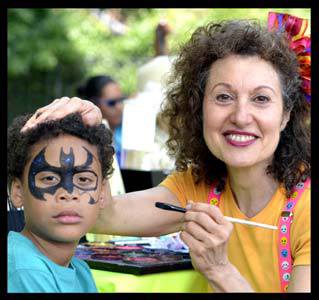 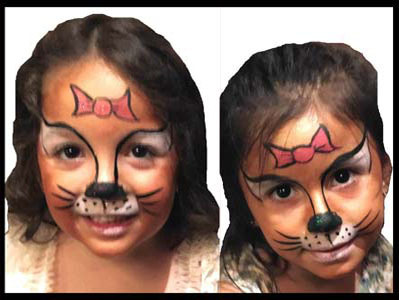 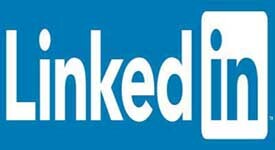 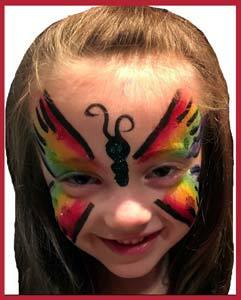 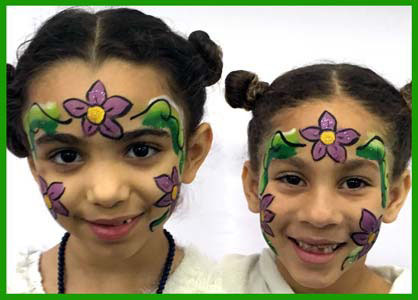 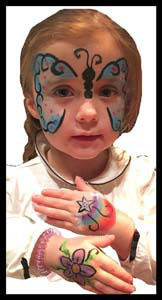 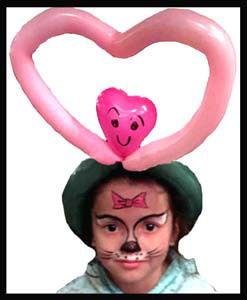 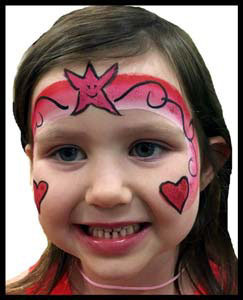 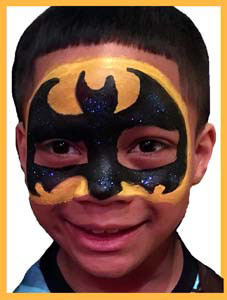 * face painting can be combined as kids birthday party package with dance party or magic show or balloon twisting or games/contests or craft projects.